Were Those Old Trucks Really as Good as We Remember? When it comes to the trucks they drive, the men and women who today steer and gear this nation to prosperity have never had it so good. I spent the past weekend at the Classic and Antique Truck Show in Clifford, Ontario, about three hours northeast of Detroit, Mich. The show was sponsored by the Great Lakes Truck Club, and drew more than 200 pre-1975 vintage trucks and about 100 more ’80s and ’90s long-nose and cab-over-engine classic trucks.What struck me while walking the show was how many of the trucks on display I had driven over the course of my career – not the actual trucks, mind you, but similar models. It was a bit like going out for dinner with all your ex-wives and former girlfriends at once. Talk about stirring up ghosts. 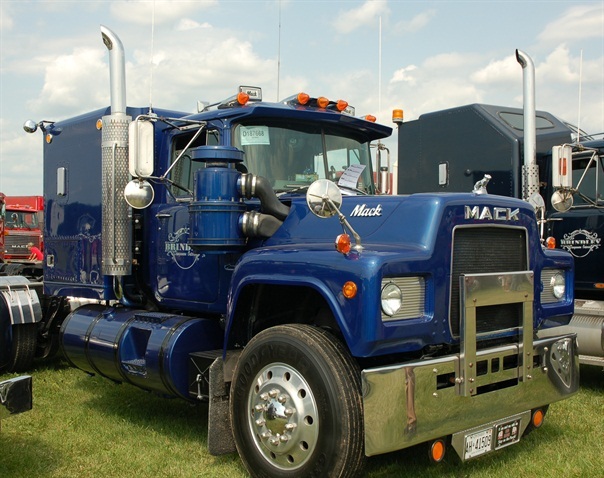 I learned the craft on a 1975 R-Model Mack, and I’ve had a soft spot for the R-Model ever since. It wasn’t very roomy. The windows were small, and climbing out of the thing could be perilous. But it was comfortable and it held the road like few trucks I’ve driven since. There were about dozen really well preserved examples of the R-Model at Clifford, and I savored every one of them. Also present were a very healthy number of working Freightliner COEs. The second company I worked for had a bunch of them, but they were all pretty old even then. 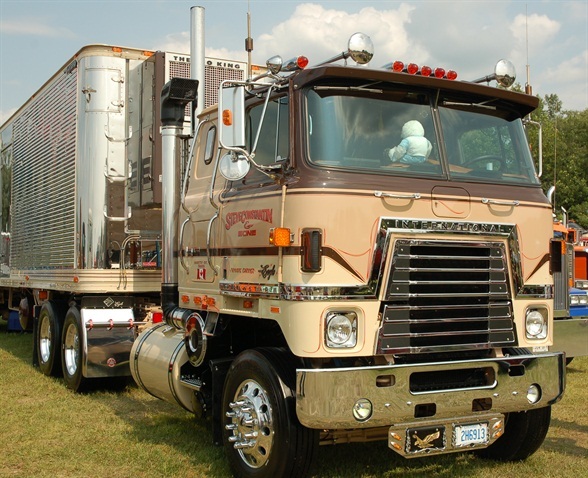 My steady ride was a ’73 Freightliner COE. This was about 1980, and that truck was one of the older ones in the fleet. It had a ridiculously short wheel base and manual steering with some sort of odd air-assist system. You could turn it off on the highway, thank God, because it wasn’t as sure-footed as my R-Model. In fact, the air-assist seemed to pulse, which caused the steering to jerk, and that caused some stress on tight corners. But here’s the best part. The trucks were designed short (164-inch wheelbase) in order get in under the length restrictions in place at the time for pulling A-train doubles, in this case very tall non-baffled tankers on air-suspension, loaded three-quarters full of asphalt. Between the short truck, the jerky steering and the air-sprung tankers swaying away behind me, there was never a dull moment driving those trucks. My favorite truck at that fleet was a ’69 Freightliner with a 220-inch wheelbase and a naturally aspirated 6V-71 Detroit. It could barely get out of its own way with a 115,000-pound tri-axle load behind it, but it rode as smooth as glass. 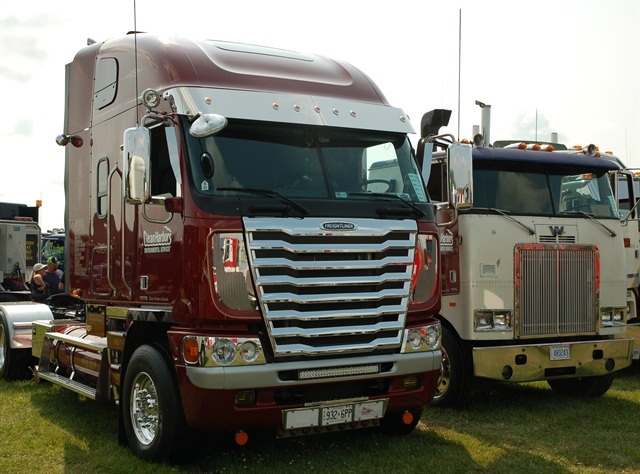 There were several sweet-looking old Freightliner COEs at Clifford as well. Among the more entertaining trucks I drove during my first 10 years in the business were a late ’70s long-nose Western Star day-cab without power steering (for a city delivery outfit); and an early-’80s Freightliner COE with a double-bunk sleeper, a 244-inch wheelbase and a “buzzin’ dozen” under the doghouse. That’s a two-stroke V-12 Detroit that made 525 hp at 2400 rpm, but only 1,300 lb-ft of torque. It went fast, but didn’t pull hills very well. There was also a rare Cummins 903 V-8 in there as well. 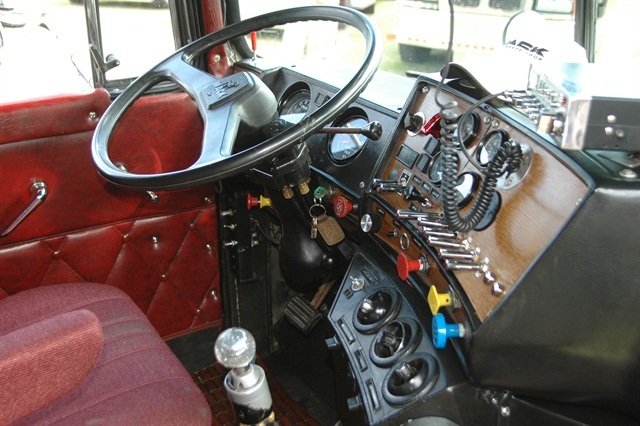 It was in a Hayes COE that had a Mack F700-style cab. The 903 was usually found in farm tractors, boats and even a few shunt locomotives. There were a few in trucks, but mostly I think they were drop-ins, not original equipment. It was one of the most distinctive-sounding engines out there, and it was loud as hell.All in, I’d guess I drove about 25 different makes and models of trucks over my career: Freightliner conventional and COE; GMC Brigadier, General and Astro; White Road Boss, Road Commander, and Mustang; Ford LT 9000 Louisville and CL9000 COE; Kenworth K100 COE, T-600, T-800; International Loadstar, Transtar, 4300 and 9600; Mack R-model, F700, CH613; Peterbilt Models 359, 379 and 362; a few Volvo-based trucks such as the curious Volvo-White “cab-over-conventional” (said to be the first integrated sleeper cab on a North American conventional); and various Western Star and White Western Star long- and short-nose conventionals as well as COEs. 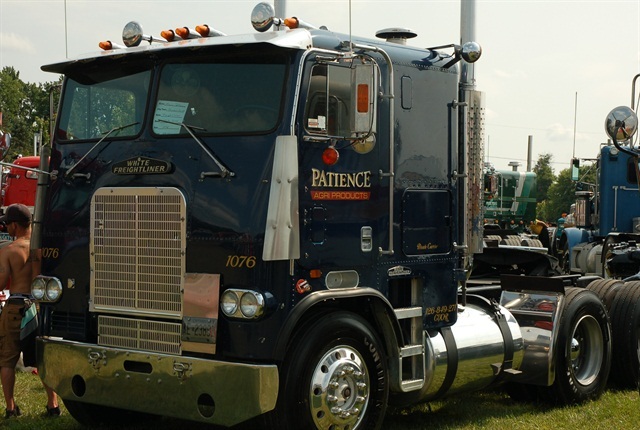 About the only truck I never put any revenue miles on was the Kenworth W900. Seeing all those trucks together focused the memories of the sometimes odd powertrain combinations, the idiosyncrasies of those old trucks and took me back to the days I was driving them. Funnily enough, they didn’t seem odd or uncomfortable at the time. No air conditioning? Open the windows and turn on the fans. No power steering? Better get good, fast, at backing up. Too noisy in the cab? Get a louder radio. Those old trucks were right for the times, I guess. Most were, then, state of the art. Sure, fleets weren’t always willing to overspend on driver comfort, but given that there were many more drivers than loads or trucks back in those days, the need to cater to drivers wasn’t as acute.There’s almost no comparing today’s trucks to the vintage models I describe here. The lists of driver comfort items grows monthly, it seems. There’s far more focus on health and safety, with better ergonomics, safer entrance and egress, much quieter cabs, certainly more comfortable seating and a great deal more automation. I can’t imagine anyone even thinking of spec’ing a truck without an air conditioner today. Having gone from that 1969 Freightliner to a 2016 Cascadia, I can say unequivocally, drivers have it better today than when I started. I maintain my fondness for the Mack R-Model, the International Transtar and the Pete 359, but if faced with weeks on end in any of the trucks listed above, I’d be mighty happy to be handed the keys to anything built in the last few years over what I drove during the first 20 years of my time in trucking.